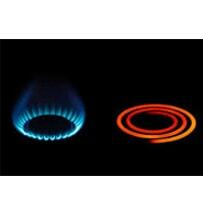 Whether you go for a single or double oven depends on what you want from your cooking appliance. All single ovens can be installed at a built-in ‘eye level’ or at under counter height, depending on how you use your kitchen. If you are the type of cook who regularly has something ready to go in the oven, but you are waiting for something to finish cooking before you can put it in, then a double oven could be the kitchen solution you are looking for. Having that extra, separate oven cavity is perfect if you need to use different oven functions and temperatures simultaneously. An extra-large cavity single oven is ideal for fitting in a roast chicken and all the trimmings, but you will be limited to a single temperature and cooking style. If this is how you normally cook then great! You should definitely look for a single cavity model. If you are looking to bake and roast, grill and slow-cook or even cook and keep warm simultaneously, then a double oven has the capability you need. You can set the top oven to grill steaks, whilst the bottom oven bakes a cake or even warm plates while the Yorkshire puddings rise. Next, you need to decide how much cooking room you are going to need? 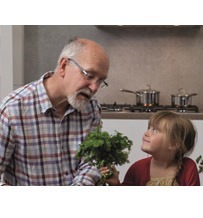 Do you regularly cook for 6 or more people or do you prepare 2-3 courses for dinners at home with the family? If the answer is yes, then a double oven could be the perfect model for you. 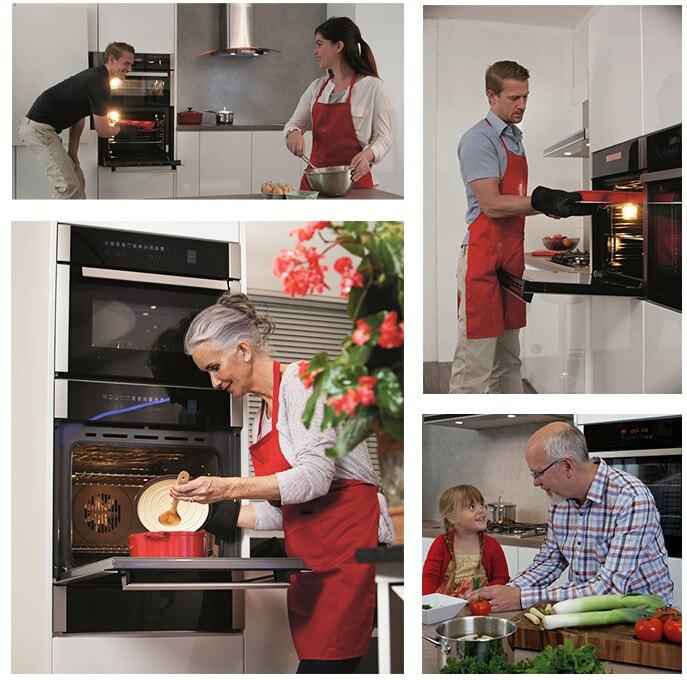 From the built-under DC740 or DK751 to the slightly larger built-in versions DC940 & DK951, right up to the double tower DK1151 with two full-size single oven cavities, you can select the exact partner to your cooking style. Style is really important when planning your new kitchen design. Ovens are normally a focal point in the layout, so you have to be sure that it will complement the look that you are going for. Choose between touch controls, for a seamless all-glass finish, or select one of the models with ergonomic controls for a more practical look. 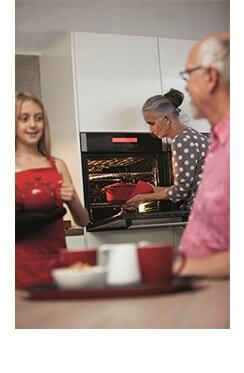 You can even decide on the level of tint in the oven glass. Our DC740 & DC940 double ovens have slightly tinted glass that allows straightforward internal cavity viewing, whereas the DK751, DK951 and the DK1151 have a special dark-black glass. 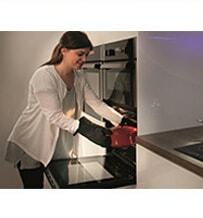 This glass allows clear vision of the internal cavity when the oven is switched on but is dark-black when switched off. 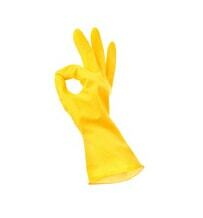 The benefit of this is a completely opaque, seamless look to the cooking area when not in use. Stainless steel strips on our oven range can pick out other details in your kitchen, like the extractor, other built-in appliances, refrigeration or even your tap; this pulls the whole design together. If you are going for something different, take a look at the oven models we offer in white or true black to free up your creative flair and unique style. 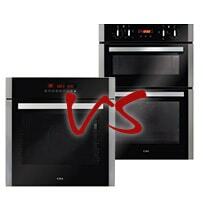 Which oven goes with each kitchen style? There are no hard and fast rules on ovens, when it comes to kitchen style modern design often combines traditional elements with modern convenience. 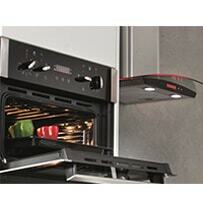 In general, you are more likely to see ovens at a built-in eye level in modern kitchen layouts. Double or single ovens, combined with built in microwaves, coffee machines or warming drawers are installed at an easy to access level and their smooth lines go well with modern cabinetry. More traditional kitchens tend to have built-under appliances, paving the way for the emphasis on worktops and accessories to be on show. Range cookers always look fantastic in a traditional setting but if that is not for you, you could always consider two single ovens installed side by side as a family-friendly alternative. Professionals’ kitchens tend to be light on functionality and strong on convenience due to their owners being social but time-poor. Built in compact ovens, coffee machines and wine coolers work well with this style as a large family-sized oven would get little use. What does a single oven have? Your single oven will feature up to 6 side racks and 2 shelves, allowing you to position your cooking level according to the heat required to cook your meal perfectly. The top rack level is for grilling close to the elements at the top of the oven and the bottom rack position is to accommodate the largest of casseroles or turkeys in the oven cavity. What does a double oven have? 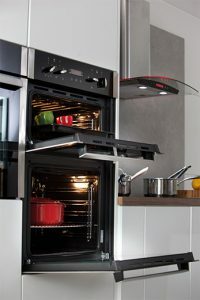 A double oven will have a main, multifunction cavity like a single oven plus an additional, smaller top oven that can grill or cook using the conventional setting. 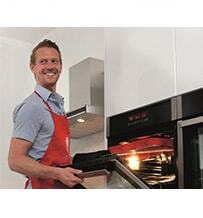 The exception is our double tower oven, the DK1151, which literally comprises two full size, multifunction ovens. Always bake delicate cakes in the centre of your oven, on the conventional setting if possible. This will give the perfect, even temperature consistency that you need for an even rise and bake.